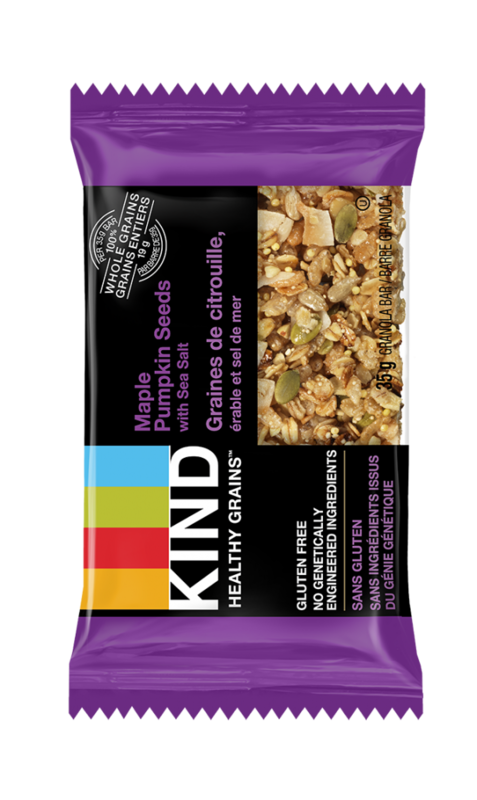 A sweet and salty snack that includes whole grains, sea-salt roasted pumpkin seeds and maple syrup. 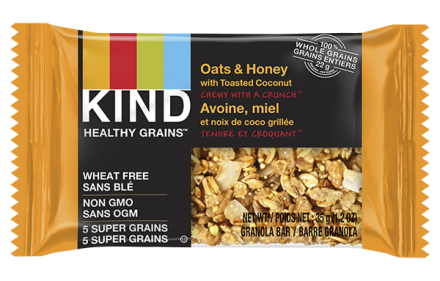 KIND Healthy GrainsTM bars are delicious blends of whole ingredients, including oats, millet, buckwheat, amaranth and quinoa, that deliver a unique chewy and crunchy texture. 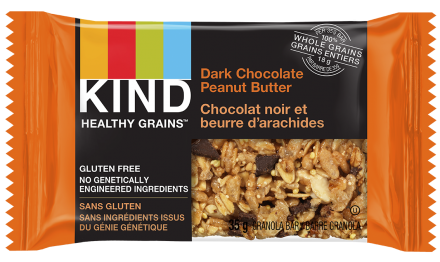 Made with whole grains, it’s the perfect snack for your active lifestyle. 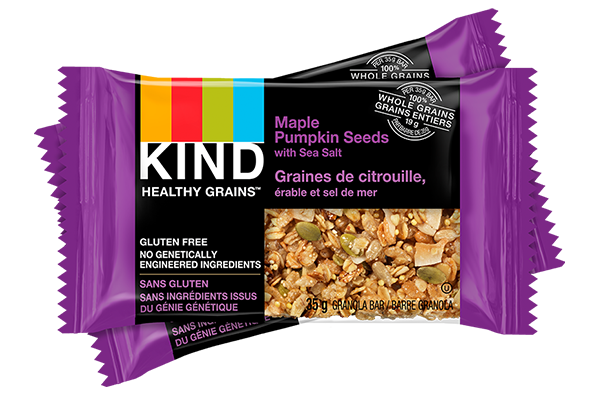 Ingredients: Gluten free oats, tapioca syrup, canola oil, cane sugar, brown rice, pumpkin seeds, millet, honey, coconut, buckwheat, maple syrup, brown rice flour, amaranth, gluten free oat flour, gum acacia, natural flavour, sea salt, quinoa, brown rice syrup, tocopherols.